New Weiand drive arrived. Need to get more lexan for headlamp covers as I goofed on the new set I was making. 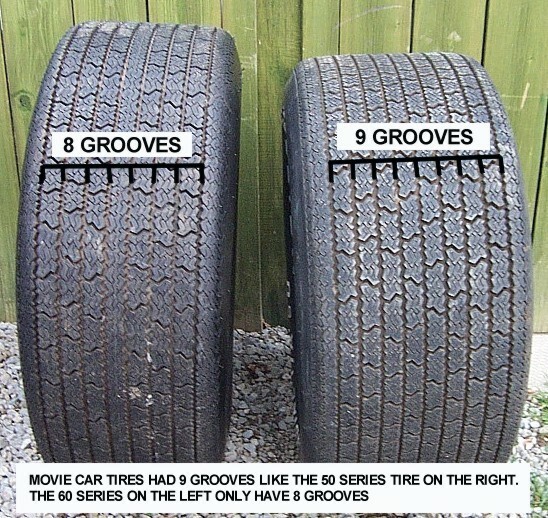 thought they were 60’s on the movie car until I found these. and an AWESUM XC Cobra t-shirt from Rick H. Thanks heaps mate !! on the project…… he will be missed!! Gordons very secure packing. Needless to say I left them with customs. Finished stripping and repainting steering wheel and now looking for suitable center piece. Working on more accurate pair of MFP fender badges. 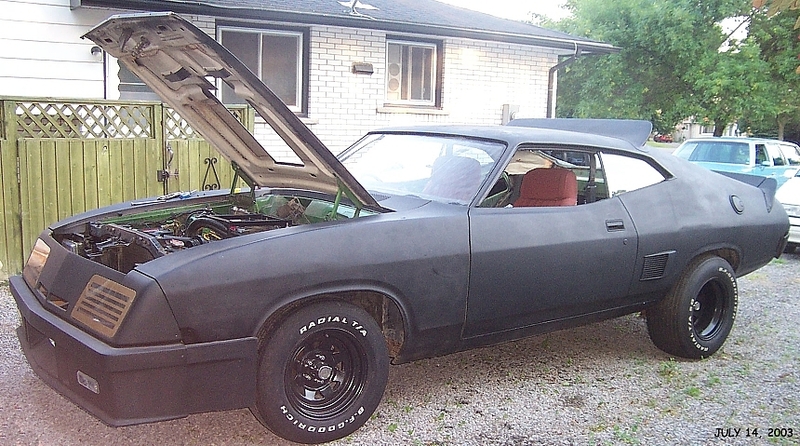 Planning out the body work details with Canadian Custom Fiberglass. 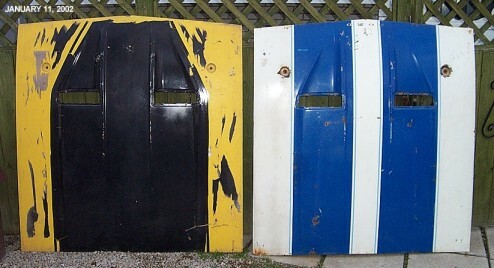 Brand new door panels have arrived at Ricks. 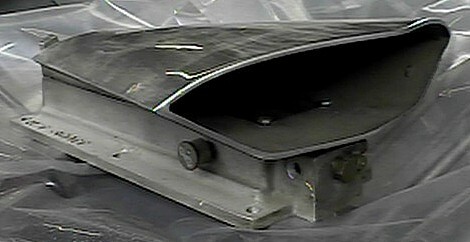 Waiting for more trim pieces to arrive before they’re shipped to me. Starting custom zoomie tips. Having a die made up for the ‘trumpet’ flares. Tips will be made up from stainless at Alloy Options. Bought one vintage (like new) B.F. Goodrich F-60-15 for the front. Located a suitable steering wheel center. Cut the tubing for zoomies and flared the tips. Bought 2 more vintage B.F. Goodrich F-60-15 for the front that are also in mint condition. 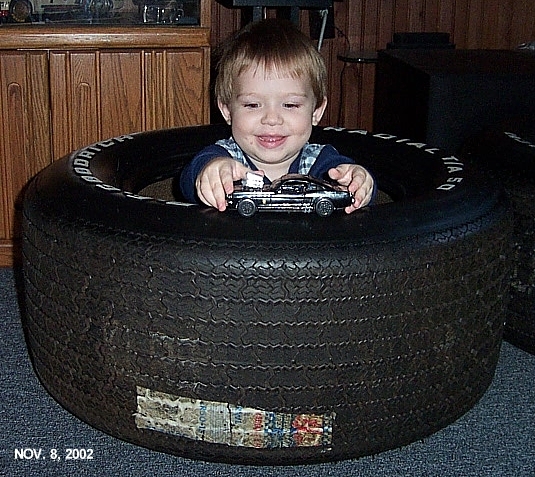 The hunt for tires is over …..or is it ? me a hand to install the lift kit for the rear springs. Rick is taking my dash pad in for retrimming and will be sending off with the rest of the interior parts. Picked up MSD 6AL to use with factory small cap elec distributor. Install GT side flutes, strip off some more paint. body shop. Thanks to Bill Budd for his help. Took the car for a longer than normal drive and sent a group of kids playing street hockey into shock. Tom N and Terry J. Bought new front coil springs. just need to finally grind off the welds and polish them up. Install new front springs but had to remove them as they were not right. Mustang springs are not correct so I ‘m now using 1970 Cougar springs. 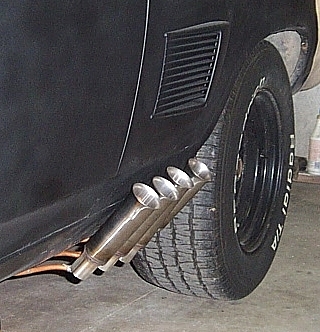 Finally fnished zoomie tips, now planning out the rest of the exhaust. Stripped the Weiand drive of the gray paint and I’m now just leaving it with the fresh glass beaded finish. Weathering in time will give it the proper look. Bill Budd came down for another visit so we installed the rear lift kit and the car now sits at the right height. Also shot some new video and let Bill take the coupe for a drive. Captured some DVD stills with a new program that give an amazing zoom and clarity…many new details found and I have a few changes to make in my plans… I’ll post these new details when the car is done. Footwell panels were covered with carpet so I removed it and spent some time cleaning off the contact cement. I found out that the drivers side panel is actually brown so now I need a one in black. New trim panels and dash pad will be on the way within a week !! Thanks to Rick H, Cam M, Dave J.
GT armrests and a few other smaller parts arrived today, thanks to Scott P in Sydney. and gear box to restore engine bay, will also be freshening up the motor and going thru the gearbox. 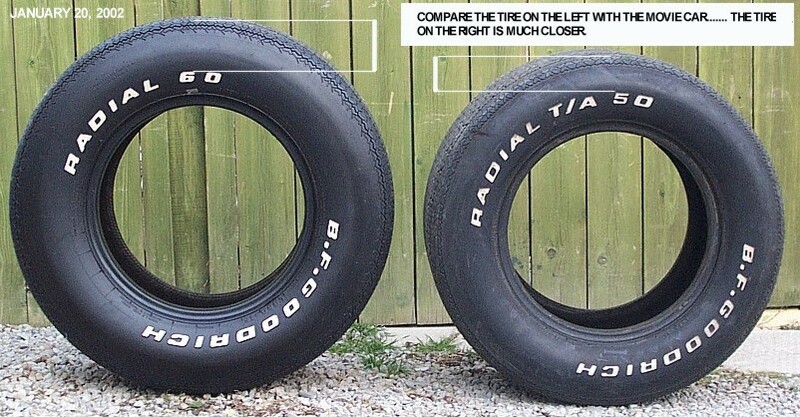 Another great find.. just picked up a pair of vintage BFG L-50-15 tires that were never mounted….. one even has the sticker on the treads still. Proper storage since 1976 has kept them in mint condition. Attempted to hook up the e-brake cable to the rear calipers but they seem to have different lever on them compared to all the pics in any of my XB manuals. I also need to replace the front cable as for some reason it has been cut. injector. His wife Elle and he put together a large package that was filled with old photos,catalogs, tech papers, original decals and sent it off to me this week Special thanks again to Mel and Elle. designed and built the board. need cleaning up. Will also be maching/changing rotors. more ‘bits and pieces’. 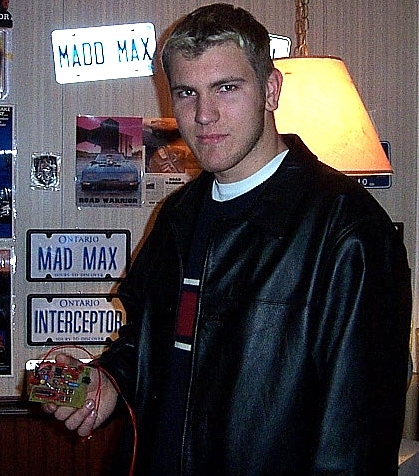 All the best to everyone in 2003 ! !